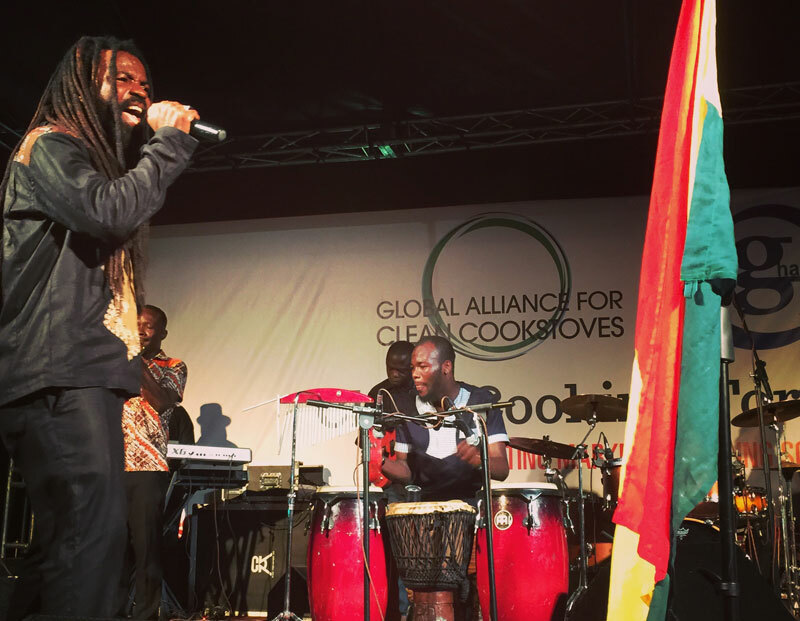 Internationally-acclaimed musician and Alliance Ambassador Rocky Dawuni performs at the Clean Cooking Forum 2015 in Accra, Ghana. 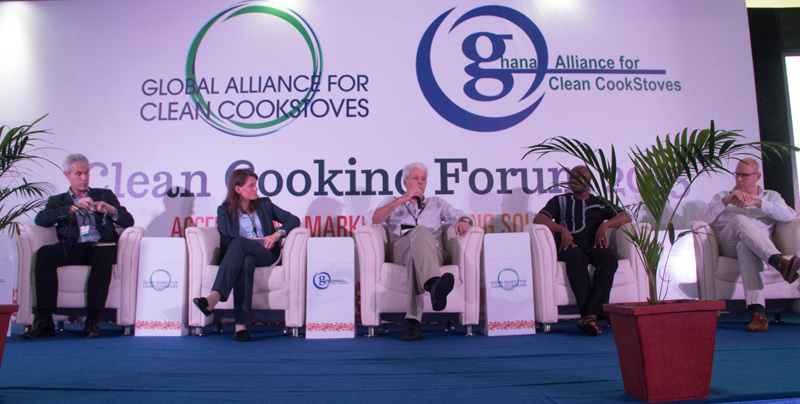 The energy from Day One of the Clean Cooking Forum 2015 continued into Day Two. Kicking off with an engaging opening plenary about investment and finance, the second day of the Forum also included a strong line-up of panel discussions on some of the pressing issues impacting our sector and ended with a memorable concert from internationally-acclaimed musician and clean cookstoves advocate Rocky Dawuni that had attendees dancing long into the night. This morning’s opening session offered attendees an investment outlook from across the spectrum – from donors to impact investors to development finance institutions. Enclude also shared results of a study assessing the capital needs of the sector and their recommendations on how the Alliance can mobilize capital to meet these needs over the next 2 years. One of the many well-attended sessions in the Bostio Auditorium at Clean Cooking Forum 2015. Science Officer Sunday Leonard of CCAC highlighted how clean cookstoves and fuels are one of the four top climate interventions that impact health, based on recent WHO recommendations. Attendees also discussed field testing results from clean cooking emissions that show a promising reduction in black carbon emissions from short-lived climate pollutants. On a related note, presentations are now available from an earlier co-benefits meeting convened by the Alliance and the Environmental Defense Fund in July to look at relationships between traditional cooking practices, climate change, and public health, together with the benefits of clean and efficient cooking on public health and global climate change. Camaraderie among the Latin America session participants and attendees. 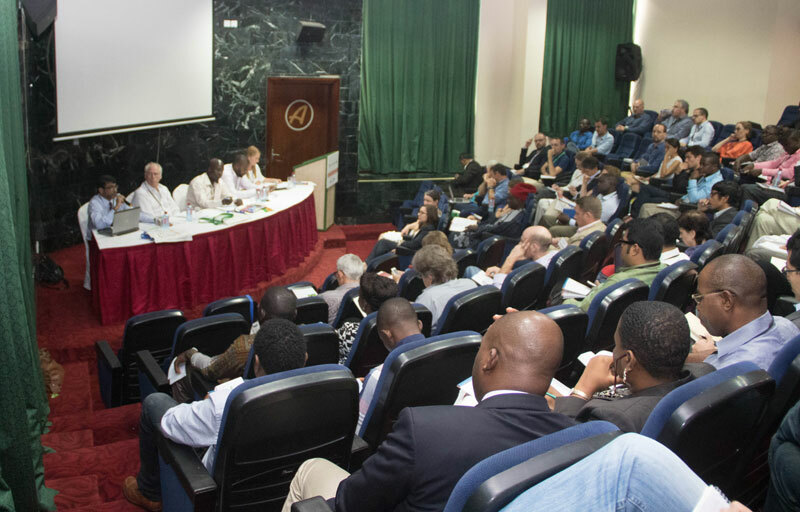 The session received a good turnout and held a great deal of interest for African attendees. They spoke of similarities they saw between their own countries and those of Latin America. Several stove manufacturers were interested in introducing their stoves to the market. An invitation was extended to manufacturers, investigators, and investors to participate the region. Smoke from the use of solid fuels for cooking is a major contributor to ambient air pollution in many parts of the world. Among the other speakers, Ajay Pillarisetti talked about how he, Kirk Smith and other colleagues at University of California, Berkeley, are using drones to measure air pollution in India. Currently more than 59.5 million people are displaced around the world due to war and conflict, and another 97 million are affected by natural disaster annually. Clean and fuel-efficient cooking solutions are helping mitigate risks related to food security, health, environment, and safety during displacement and crises.  The Global Alliance and its partners on the SAFE Humanitarian Working Group are combining forces to ensure that energy access for cooking, lighting, heating, and powering are incorporated into humanitarian response. Global Progress on LPG for Cooking: What can we do to accelerate getting to greater scale? Experts and practitioners from the LPG sector demonstrated their experiences and challenges in scaling LPG distribution and use in developing countries with particular emphasis on how other countries can be effective through strategic public-private partnerships and influencing government policy shifts. Li Jiang, Counsellor, China Embassy, Ghana, gave opening remarks and talked about collaborative relationships. In collaboration with the Alliance, China is taking an important step towards achieving adoption of 40 million cookstoves by 2020 and seven pilot projects have been launched this year to test new technology and policy interventions. 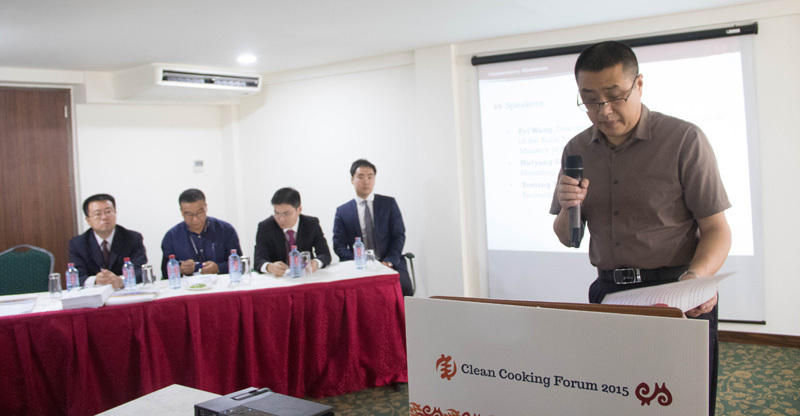 Two Chinese government representatives discussed the initial results of this work, as well as speakers from China’s biggest cookstoves exporters to share their experiences in business collaboration with Africa. Participants learned how to apply gender best practices to their business models by hearing about successful case studies of engaging women at all levels of the value chain. Panelists highlighted different strategies for working with women from product design and production to distribution and after-sales service. Participants also had the opportunity to provide feedback on the type of tools that would be most useful for practitioners who are trying to apply a gender lens over their business models. SITE VISITS ON THURSDAY: Please show up on time for departure for your pre-scheduled site visits. Space is already over-booked and there unfortunately can be no walk-ons for the field trips.